The Institute will consist of five workshops (March – May), inviting all levels of flower design enthusiasts and industry professionals to enhance their knowledge and appreciation of high quality floral design. Through guided hands-on instruction, you’ll work directly with instructors to explore all aspects of floral design, including basic foundations, wedding florals, advanced centerpieces, and large-scale designs. Our one-of-a-kind business class offers practical knowledge on proposal development and insight to understanding the client process. 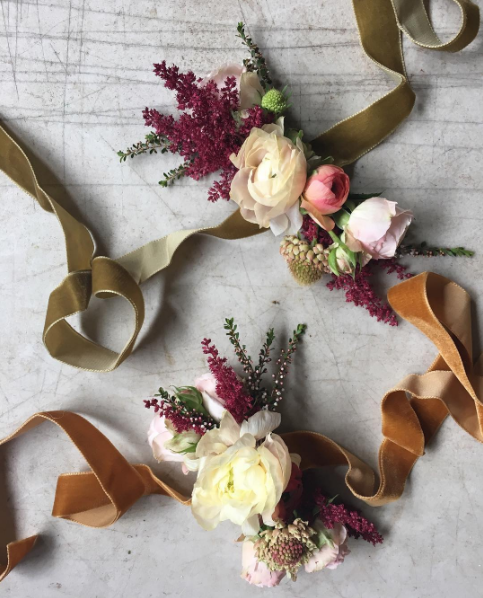 The Floral Artistry Institute brings students to the studio of Flowers by Semia in Providence, and the Carriage House of Blithewold. Workshops may be taken individually or as part of a series. We welcome you to learn and be inspired by flowers with the Floral CoLab! Please visit Floral CoLab Institute to register.